Jenny Alowa helped raise a lot of children in her 25 years teaching at McLaughlin Youth Center, the juvenile detention facility in Anchorage. Often she knew her students' real families. She would ask them, "You come from rural Alaska. I know you come from a good family. What are you doing here?" Over the decades, she saw the population of juvenile criminals change as the racial make-up of Anchorage changed. But the key to reaching them remained the same — through mutual respect, individual attention, and hope. "I'm basically happy all the time. That's why I lasted 25 years at McLaughlin," Alowa said. 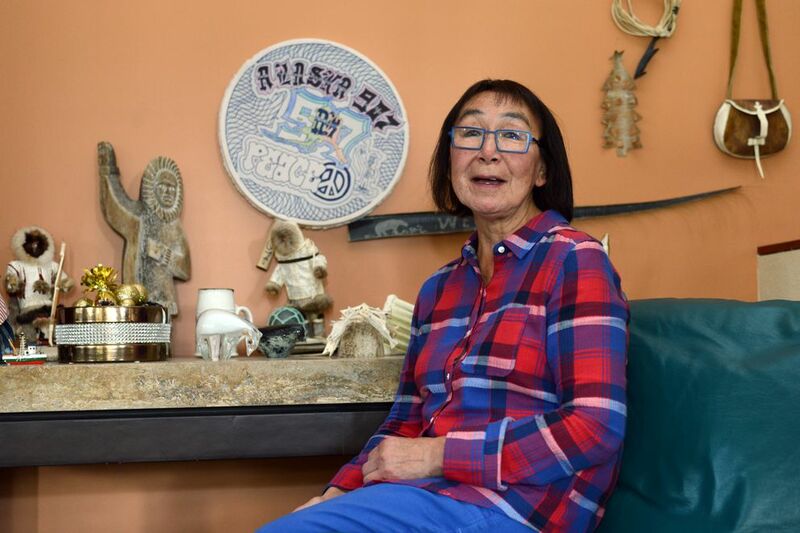 Her life began on St. Lawrence Island, far out in the Bering Sea, speaking Siberian Yupik and eating traditional Native foods, like walrus, fish and berries. Her father ran the post office when the mail in Savoogna still arrived by dog sled. But he died when she was very young. Alowa said, "I was raised by my uncles, my grandparents, the whole community really. Those were the good old days. We were happy. I still have my teeth because we had no sweets, no soda pop. A hardworking community, sharing, very loving … We were carefree. I remember playing out in those icebergs in the wintertime. Those ice ridges. If it wasn't for growing up on that island, I wouldn't be who I am." She attended Alaska Methodist University, now Alaska Pacific University, when the Native land movement was reaching its climax. 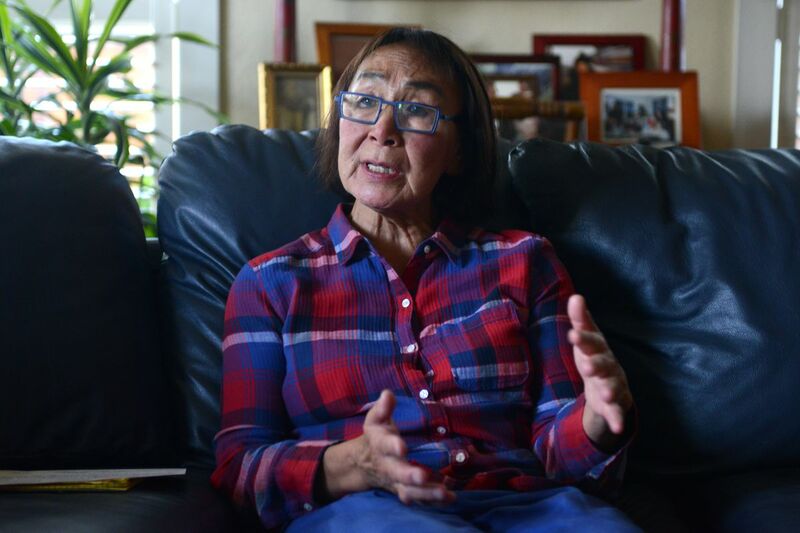 She was present in 1971 when President Richard Nixon announced by telephone to Native leaders gathered at AMU that he had signed the Alaska Native Claims Settlement Act. Alowa was an adventurous young woman. After graduating she accepted a job representing Alaska at a World's Fair in Japan for seven months, then wandered southeast Asia, often by herself, staying in hostels. She returned to Anchorage from Malaysia, Thailand and Singapore with one dollar left. Teaching at McLaughlin was a second career. Before working there she had already earned advanced degrees, worked for the Alaska Federation of Natives and the Intuit Circumpolar Conference, and helped negotiate internationally to reconnect indigenous people across the Bering Strait in Alaska and Russia, and took a group to Provideniya. In 1990, Alowa tried substitute teaching at McLaughlin for the Anchorage School District. The job fit her. Clyde McLeod had already been teaching there 21 years when Alowa arrived. They would work together until he retired in 2005, when the school named its gym for him. 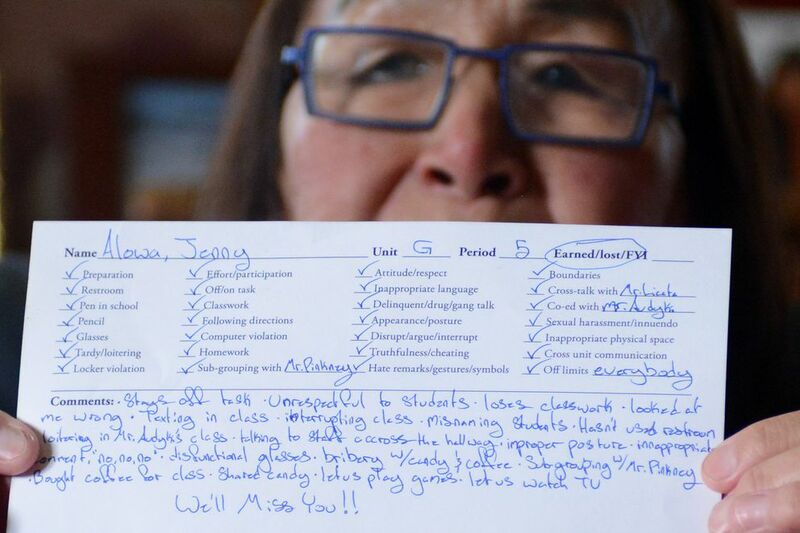 McLeod recalled taking students to Native Youth Olympics with Alowa and finding she knew half the people in the stands. He said, "It's one of those situations, when you start teaching there, you either love what you're doing, and you really relate well with the kids, or you're looking for the first opportunity to leave. Because, for some people, working with that type of kid is very intimidating and overwhelming." But Alowa realized that for Native kids, the city and McLaughlin were intimidating and overwhelming. "It's all about connection," she said. "If they know you're from St. Lawrence Island, they just cling to you." McLeod and Alowa used the same words to talk about how they reached their students. The key was respect. For many of the young people, teachers and staff members of the state Division of Juvenile Justice were the first adults who had ever shown respect and caring. Often, they were the first stable adults in their lives. Some kids had never had a warm, clean place to live. "You develop a relationship with these kids," McLeod said when he retired. "Ninety-nine percent of that anger and ugliness you see in them, that's how they learn to cope with what's happened to them in their lives. A lot of these kids, if you knew what their history was, you'd wonder how they came out as good as they did." Alowa made a point of not asking what crimes her students had committed. She said, "I look at them and say, 'What can you do for me? Show me what you can do.' They use labels, because they've been labeled so many times. 'I'm ADD. I'm special ed.' I said, 'Nope, you're not a special ed when you're in this class.' They've learned to label themselves because society has labeled them. They're embedded in it. And then they'd say, 'I can do this?'" She saw some students go on to success in life. And others she cried over, when she saw them on the evening news having committed terrible crimes a adults. Alowa and McLeod both believed the students coming to McLaughlin changed over the years. More arrived who were cold to their victims and casual about criminality, including gang members. But some Native youth from villages remained relatively innocent, Alowa said, as they struggled with city schools far larger and more structured than their home communities. She said village kids still have Native values, but are no longer wrapped in their culture. They grow up wearing earbuds instead, as she did, listening to elders speak their own language. Alowa retired in 2015. Classroom technology had taken away too much of the one-on-one time that let her help students. 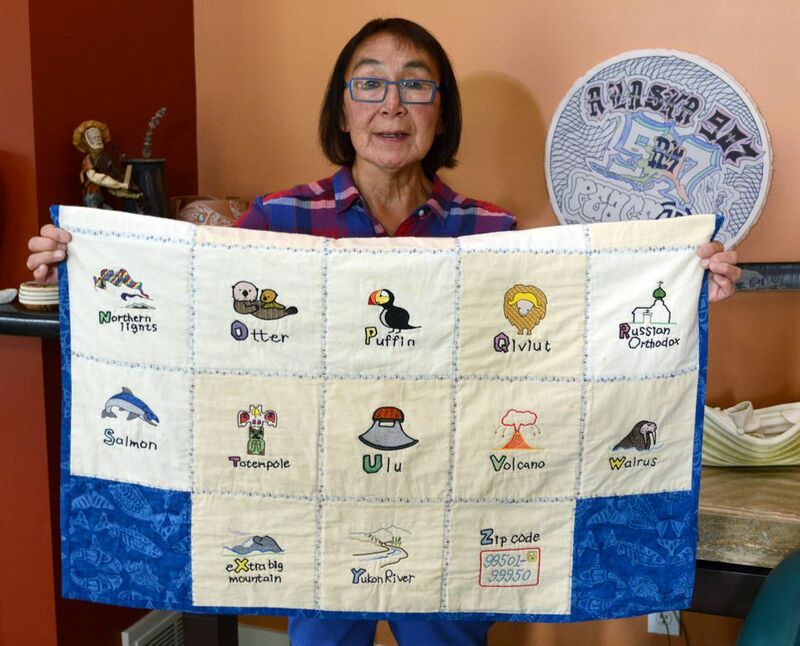 She gardens and lives with her husband of 40 years in a west Anchorage home filled with her former student's art and other gifts. She teaches Siberian Yupik to her own grandchildren. I said she did a lot of good in her career. "I've been so blessed all my life with all the opportunities, all these travels, lots of family," she said. "I had good role models. My mother was one of them. And that's what's missing. You have to pass it on. I think that's the bottom line. Look at me. I live in this beautiful house. I grew up in one-room house. That one-room house was just as neat as anywhere else. And that one-room house, the door was always open. And this door is always open. So that's what it's all about. Pass it on."